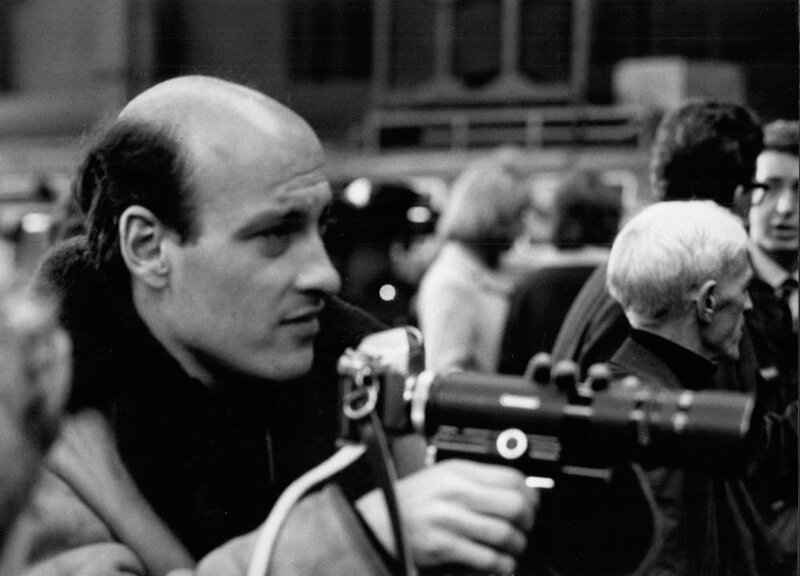 In A Hard Day’s Night (1964), director Richard Lester brought Beatlemania to a worldwide audience. A pastiche of staged performances, slapstick and absurd comic bits, the film captured the distinct personalities of John, Paul, George and Ringo in an inventive way that even adults could appreciate. 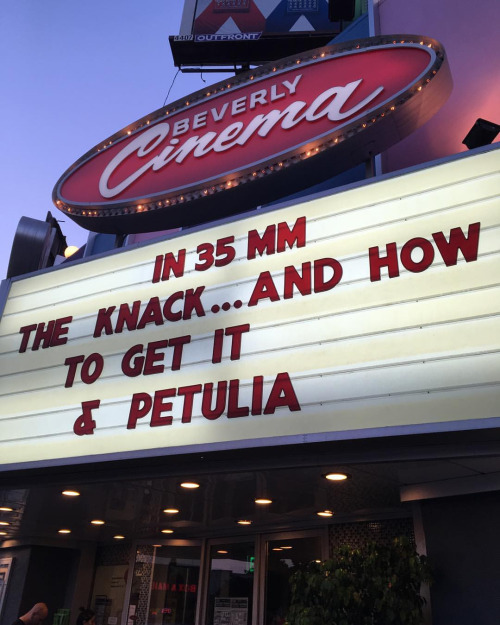 He followed it up with The Knack… and How to Get It (1965), which screened before Petulia at the New Beverly. 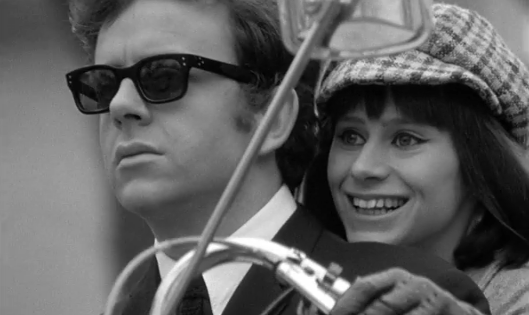 The Knack is an abstract comedy about a mod love triangle that starred Liverpudlian Rita Tushingham [A Taste of Honey (1961), Girl with Green Eyes (1964), Dr. Zhivago (1965)]. In the film, a sharply dressed womanizer named Tolen (Ray Brooks) tutors the provincial and naïve Colin (Michael Crawford). Besides the motor bike and mod attire, “the knack” is an attitude. The humor is cruel with misogynistic barbs often directed at Colin’s wide-eyed friend Nancy (Tushingham). Dialogue heavy, the interior scenes have a deadly “filmed play” look. 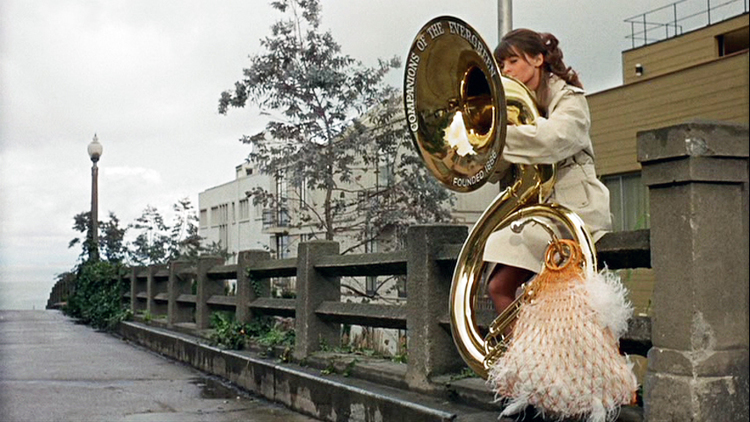 Things liven when the characters venture outside into swinging London (with background players Jane Birkin, Jacqueline Bisset and Charlotte Rampling) but that rarely happens. 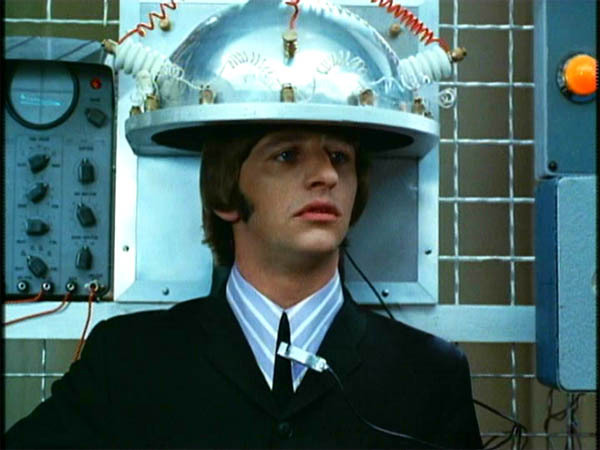 Returning to form, Lester directed the Beatles in Help (1965) which introduced more great songs and further exploited Ringo’s comedic talents. 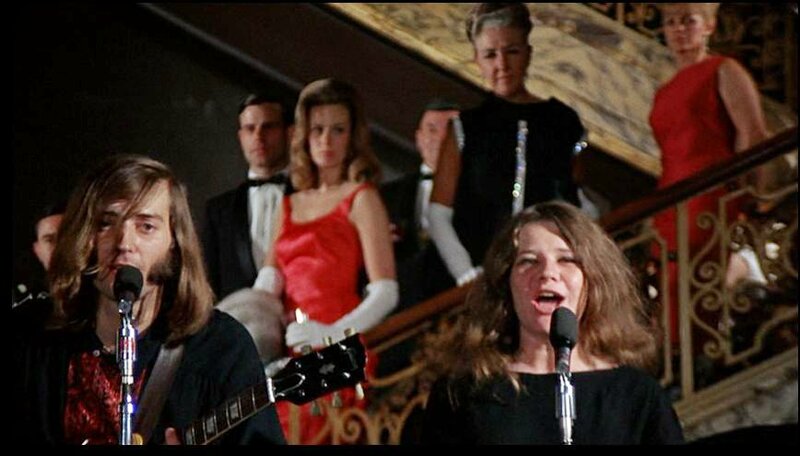 Lester would again direct John Lennon in the anti-war film How I Won the War (1967). The Knack‘s Michael Crawford also starred. By 1968, Beatlemania had died down somewhat. The rock scene’s epicenter had moved across the pond to California’s Sunset Strip in Los Angeles and San Francisco’s Haight Ashbury. With Lester never far from the action, San Francisco is the setting of his Petulia (1968), shown in a rare Technicolor print. Tom Silvestri introduced the film. He’s the author of Petulia: Self and Sensibility in the Summer of Lost Love (Hollywood Unleashed), to be published by The Critical Press in 2017. Available for pre-order at Amazon. Petulia Danner (Julie Christie) is a San Francisco socialite. In the opening scene, she’s at a formal event on Nob Hill dancing with her husband David (Richard Chamberlain). Janis Joplin is singing though we only hear snippets as the camera cuts back and forth from her performance to a group of people in wheelchairs entering the hall. They pass by Archie (George C. Scott), a prominent surgeon, we’ll learn. Archie catches the eye of Petulia who rushes to see him. Instead of focusing on Janis and her band à la A Hard Day’s Night, youth culture is merely a backdrop for Petulia and Archie’s adult love story. Richard Lester’s Petulia is the story of a small group of very pretty people whose perfect-looking lives are nevertheless bloody battlefields strewn with the carnage of emotional (occasionally physical) violence every bit as senseless and arbitrary as the glaring images of the Vietnam War that flicker from the largely ignored TV sets that seem to be in every room. Depicted in an artfully disjointed style that intercut flash-forwards and flashbacks with scenes occurring in the here and now, Petulia examines the tentative love affair between impulsive, unhappily-married newlywed, Petulia (Christie), and the generationally displaced surgeon, Archie (Scott). Archie is an old-fashionedly decent man facing a kind of existential mid-life crisis in “The Pepsi Generation”, and he doesn’t know quite what to make of it all. The movie was adapted from John Haas’s novel Me and the Arch Kook Petulia. Christie’s character is her spirited take on the “lovable kook” to whom the normal rules don’t apply. She breaks into a shop and steals a cumbersome brass instrument for no logical reason. As we learn more about Petulia, it becomes clear that the madcap behavior is her “acting out.” As with Audrey Hepburn’s Holly Golightly in Breakfast at Tiffany’s, the merriment masks a sadness. Although the term wasn’t used then, Petulia’s needy, erratic behavior appears bi-polar. Scrupulous but with a core of anger, Scott’s Archie is not that different from his doctor character in The Hospital (1971) or a host of other roles that projected a strong, deep-voiced masculinity. Archie is unhappily married to Polo (Shirley Knight). Playing against type is Richard Chamberlain. Usually cast as a romantic hero, he’s an abusive villain who still maintains a certain upper crust charm. Shot by Nicolas Roeg with music by John Barry, Petulia is a complex film not easily understood on a first viewing which makes Silvestri’s new book especially welcome. In his introduction at the New Beverly, he described Petulia as, in his “humble opinion, the greatest movie ever made.” Strong words, but there’s no arguing that the author, who’s worked in story development for a number of studios, knows Lester’s film inside and out. This entry was posted in Movies and tagged George C. Scott, Julie Christie, Petulia, Raymond Wagner, Richard Chamberlain, Richard Lester, The New Beverly, Tom Silvestri by crimsonkay. Bookmark the permalink.